First things first, this is the time of year to have your snow tires removed. Driving in temperatures above seven degrees with winter tires will dramatically shorten their life. Snow tires are designed to stick, and sticking to hot asphalt will wear down the tread much faster, and won’t respond as well to turning and braking. Our team will remove your winter tires and arrange storage for you! No more lugging your tires from your home to us and back again — we’ll look after the heavy lifting. If your vehicle is due for new summer or all-season tires, we can help you out. First, we’ll conduct a free tire inspection to inspect their tread depth and remaining life. Then, if you are in need of new tires, we’ll suggest the tires best suited for your driving habits. We have an amazing selection of top-quality tires and will meet or beat competitors’ pricing. Visit our Quick Lane webpage to check for our latest coupons and complimentary service offerings. Spring is a great time to give your vehicle a full once-over with a multi-point inspection. Our multi-point vehicle inspection includes an examination of your entire vehicle with each area rated according to its condition. Check all fluid levels and top them off if necessary. This includes windshield washer fluid, transmission fluid, power steering fluid, engine coolant, and brake fluid. Check your alignment to see if it's within specifications. We can let you know if you are in need of an alignment, to prevent uneven or excessive wear. Examine power windows, locks, and side mirrors to ensure they are operating correctly. Check the horn, exterior lighting, hazard signals, and brake lamps to make sure they are working properly. Examine the windshield for cracks or pitting, and check the operation of the windshield washer fluid sprayers and wiper blades. Inspect the radiator, heater, and air conditioner hoses for leaks and wear. Check the cabin air filter to see if it needs to be replaced. Take a look at the engine air filter and engine drive belts to ensure they are working efficiently. 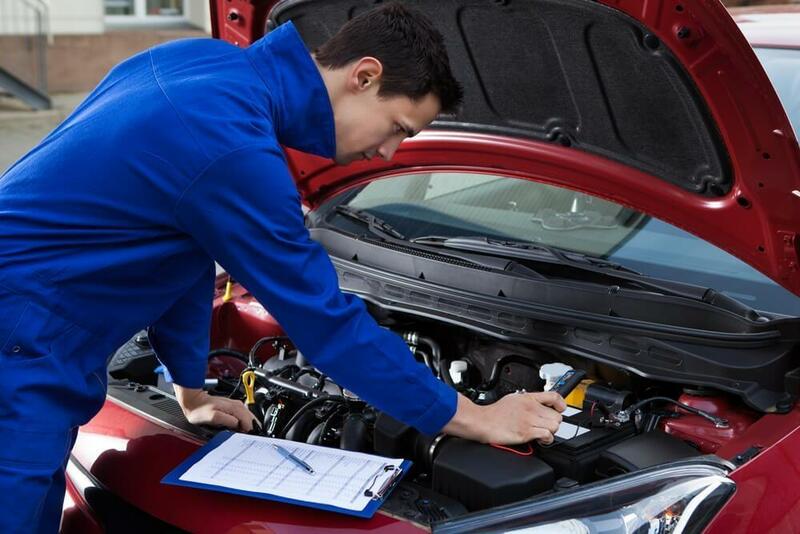 Test the vehicle battery operation and the condition of its cables and other components. Check the tire pressure and add air if necessary. Visually examine tires for unusual wear or damage. For all your spring maintenance and service needs, come to the experts at Wayne Pitman Ford — we’ll make sure your vehicle is ready to roll.